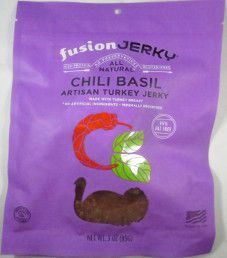 The next review on Fusion Jerky will be on a 3 ounce/85 gram bag of their chili basil flavored turkey jerky. 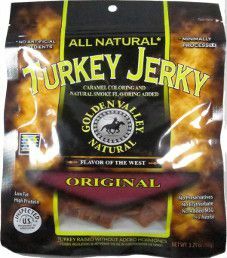 This bag was graciously submitted for review by the Fusion Jerky team. 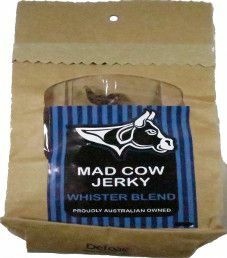 The first review on Mad Cow Jerky will be on a 1.76 ounce/50 gram bag of their Winchester Blend flavor. 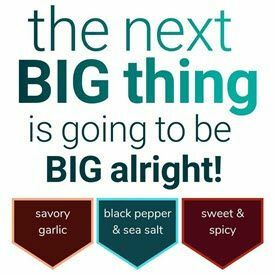 This flavor is described as using Whistershire Sauce, red wine vinegar, and spices. 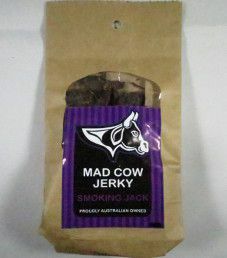 No need for alarm, there is zero connection to any sort of mad cow disease. 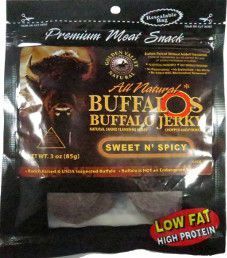 This jerky was kindly submitted by the owner, Mary-Anne Delost (M.A.D. ).